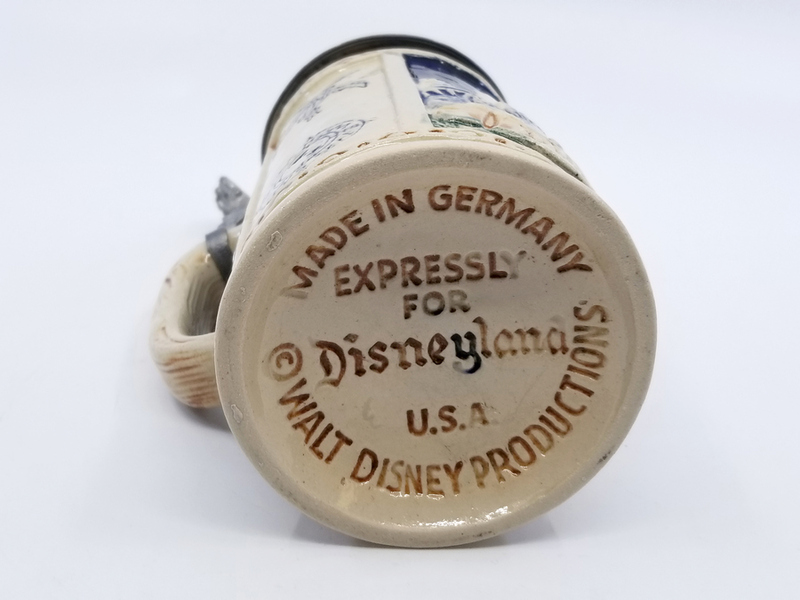 7" x 3.25" x 3.25"
This is a decorative souvenir ceramic stein that was sold as a souvenir in the Disneyland theme park starting in the 1950s. 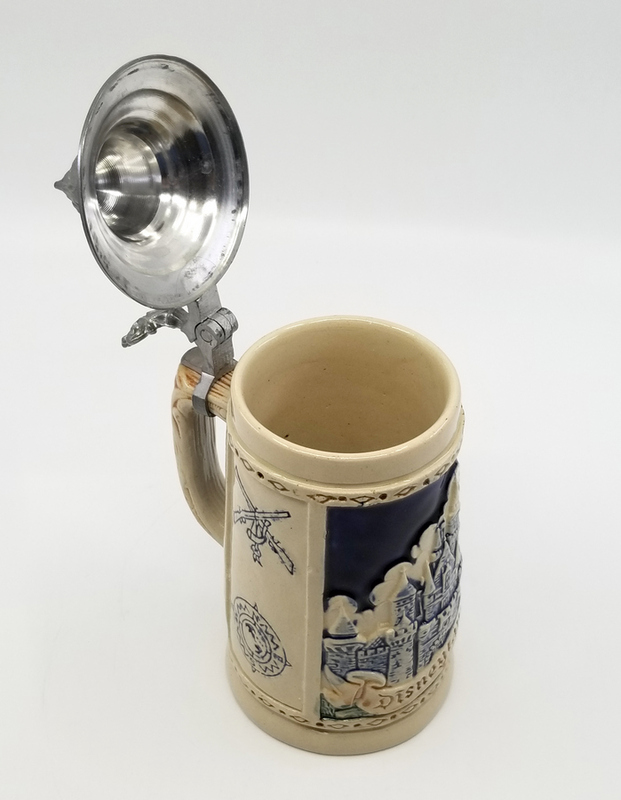 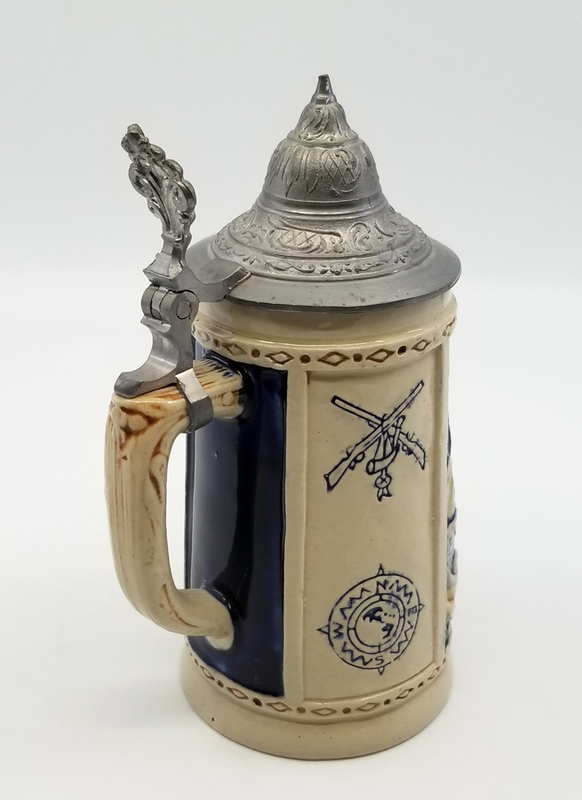 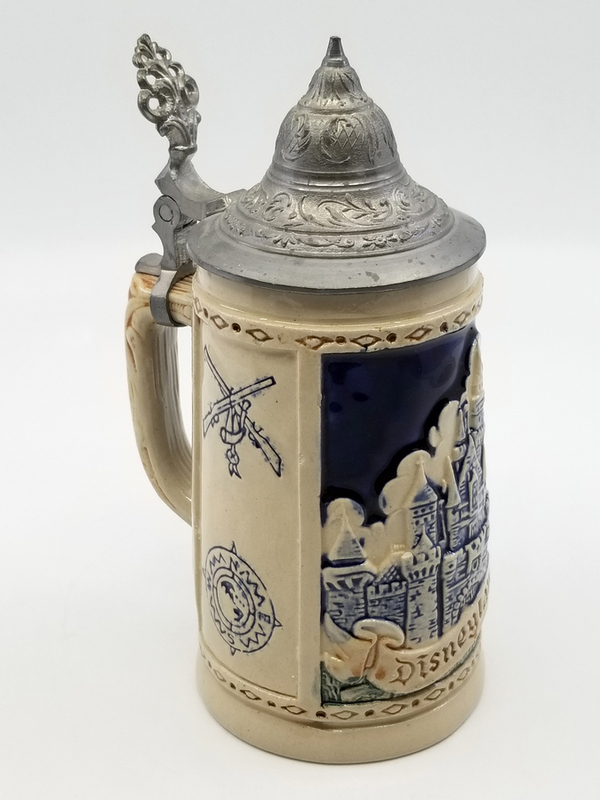 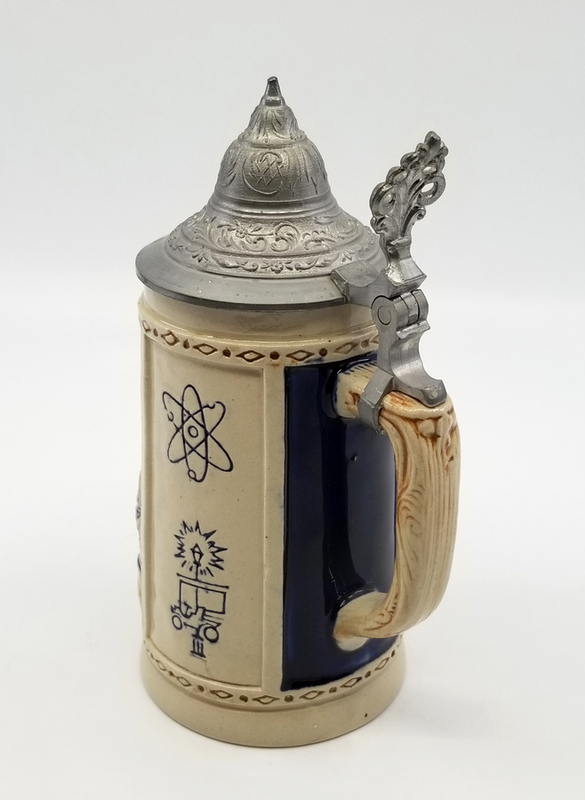 The stein features imagery of Sleeping Beauty Castle and a flip-top metal lid. 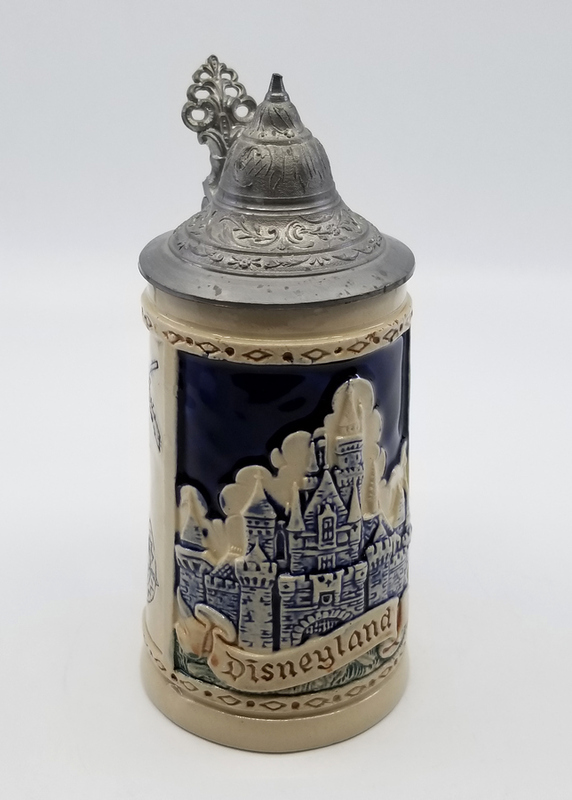 There are symbols debossed into the walls of the stein depicting the different lands of the park. 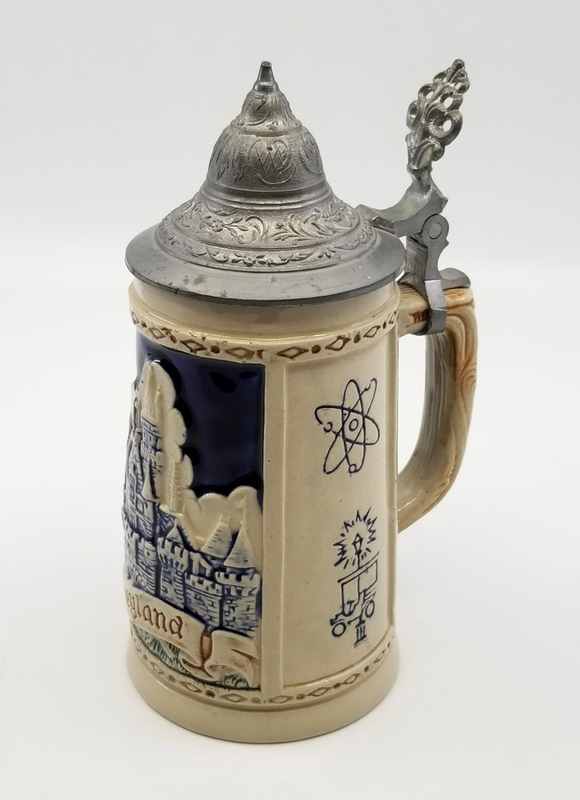 The stein measures 7" x 3.25" x 3.25" and is in very good condition.